Ruby Walsh is one of the most well known national hunt jockeys in the world and will be forever remembered for his remarkable performances at the Cheltenham festival year after year. He has rode unbelievable winners at the four day festival at jumps racing headquarters, winning the Gold Cup with Kauto Star or when winning the Champion hurdle with Hurricane Fly but this journey the jockey has been on in his career had to start somewhere. They always say you never forget your first and this is certainly the case for Ruby Walsh, who in 1998 rode his first festival winner in the Champion Bumper on Alexander Banquet and sadly today at the veteran age of 25, the horse has passed away. Not only did this special horse to Walsh give him his first festival winner he also gave the jockey his first Grade 1 victory over hurdles in the Royal Bond Novice Hurdle at Fairyhouse. When winning aboard the great horsein the Champion Bumper, Walsh was still an amateur jockey and was really grateful a the time and now looking back in the faith and trust the connections of the horse put in him back in 1998. (Credit Racing Post) Walsh Said: I was Mr R Walsh back then and between Willie and the owner Noel O'Callaghan they were very good to leave me on him after we won a bumper at Gowran Park together. That's been a trait of Willie's down through the years. I suppose it's like anything, your first is always very special. I was so young back then but you never forget your first and he was a wonderful horse for my career and I also rode my first Grade 1 winner as a professional on him as well when we won the Royal Bond Novice Hurdle at Fairyhouse the following season. 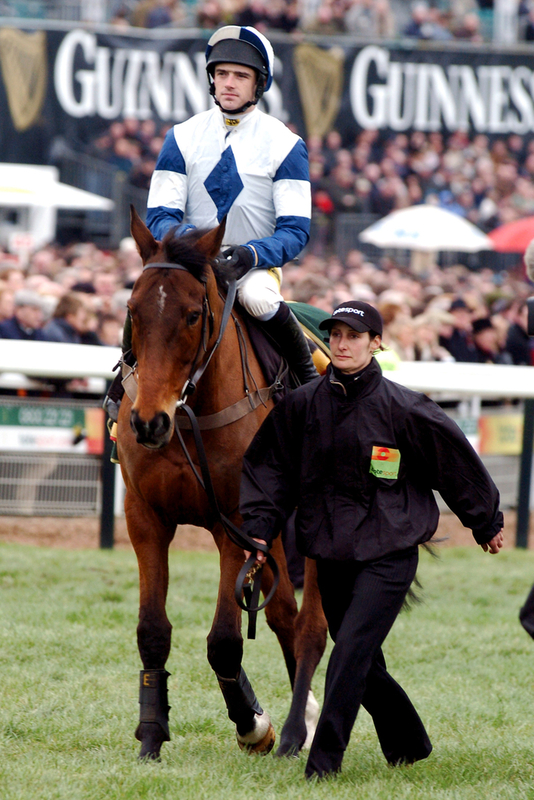 "He was a tough, genuine horse who gave it his all and I'll never forget that day at Cheltenham with him. He was just a wonderful horse who had a brilliant life and Jackie looked after him well – and she still has Wither Or Which – after he retired. It's a sad day but he was a great horse who'll be fondly remembered."